FM Rainbow Bengaluru 101.3 Live Streaming Online . 101.3 FM Rainbow by ALL India Radio AIR Bengaluru is most famous 24 by 7 radio from Karnataka India . 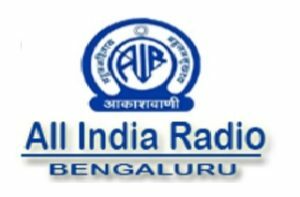 All India Radio Bangalore is the capital station of Karnataka. The broadcasting set up was housed in a rented building named ‘Cubbon House’.